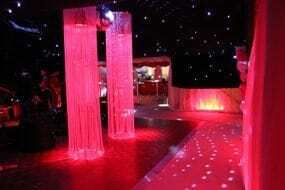 A marquee doesn’t have to stand in a field or garden and at Hadley Marquees we’ve thought beyond that field. 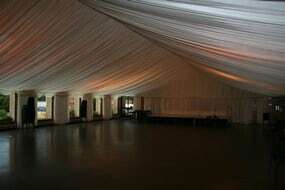 Why not use a marquee to transform the interior of a barn or village hall? Our frame marquees mean the entire structure can be placed indoors or placed adjacent to buildings in order to increase space. This opens up a wealth of design options – perfect for creating a country garden theme in the middle of January or with ambient lighting and soft seating you can turn a chilly barn into a cosy and magical grotto. Chinese hats come into their own with such transformations as the pretty peaks provide a sophisticated addition whether they are used as a reception area for greeting guests or simply to boost available space. Barn and village hall transformations for special occasions in Norfolk, Suffolk, Cambridgeshire and Essex by Hadley Marquees the special event management specialists.